$6.00 Priority Mail for the first item, free for additional items. 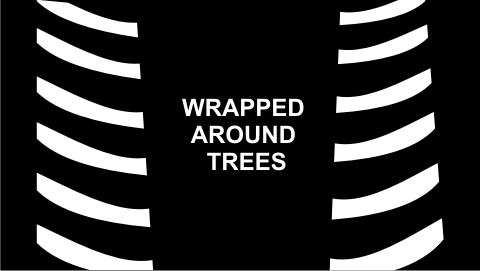 The term "Trip Wire" is used to convey a specific use of the product. The product contains no wire or any metal. The product is FLAT AND TWO-SIDED. The larger the size, the more visible with night vision. 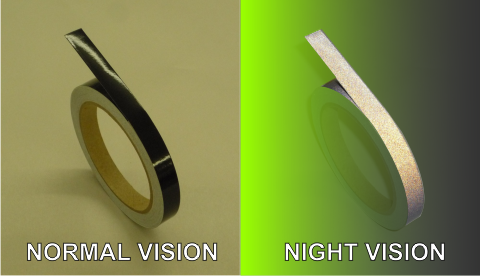 Although the product is two-sided, unless it is twisted, it is possible it could be entirely viewed from the edge, which would make it invisible under night vision. IF YOU WANT TRADITIONAL INFRARED COPPER TRIP WIRE, CLICK HERE.